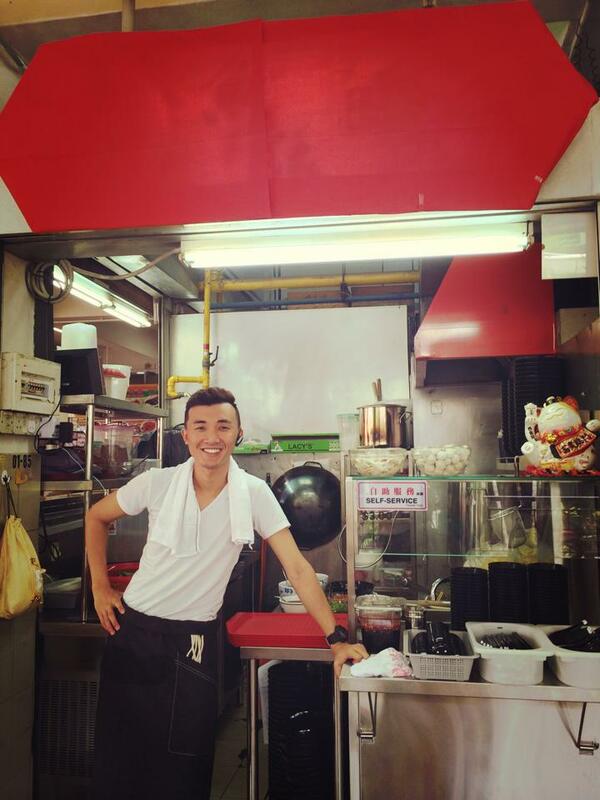 Douglas Ng’s hawkerpreneurship story simply began because of the love he had for his grandmother’s handmade fishballs. Revealing that he has a very strong attachment to home-cooked food, Douglas learnt the recipe from her “so that [he] could make it more often”. 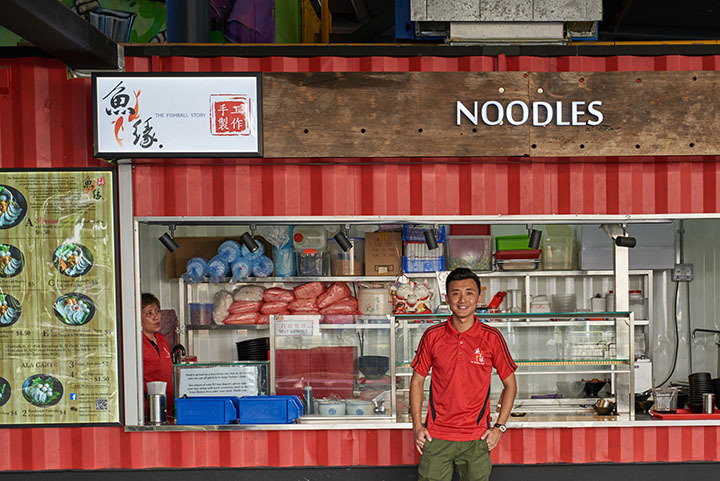 The thought of becoming a hawker selling fishball noodles didn’t cross his mind then, though. But his affinity with the dish wasn’t just about to end there. 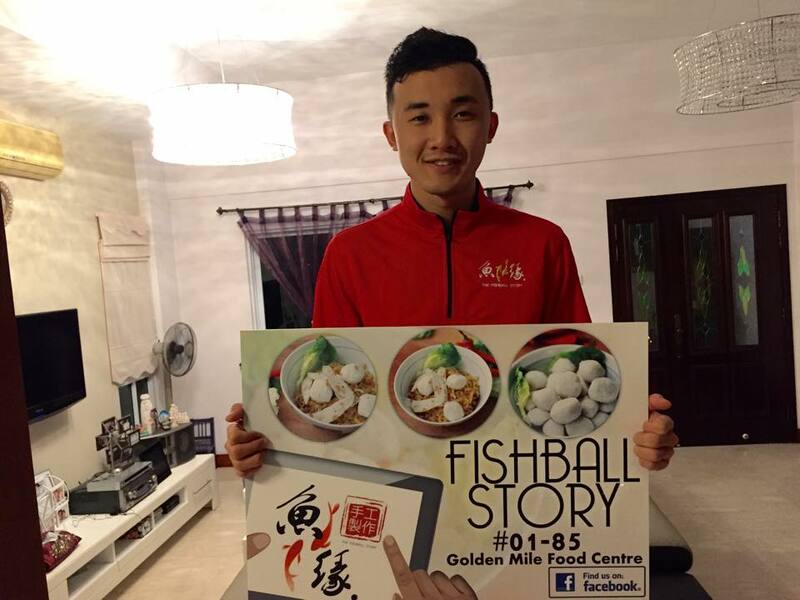 The 26-year-old has been making the news since the early days of The Fishball Story – and it’s not just because of how he’s a young man in a trade of usually older folks. 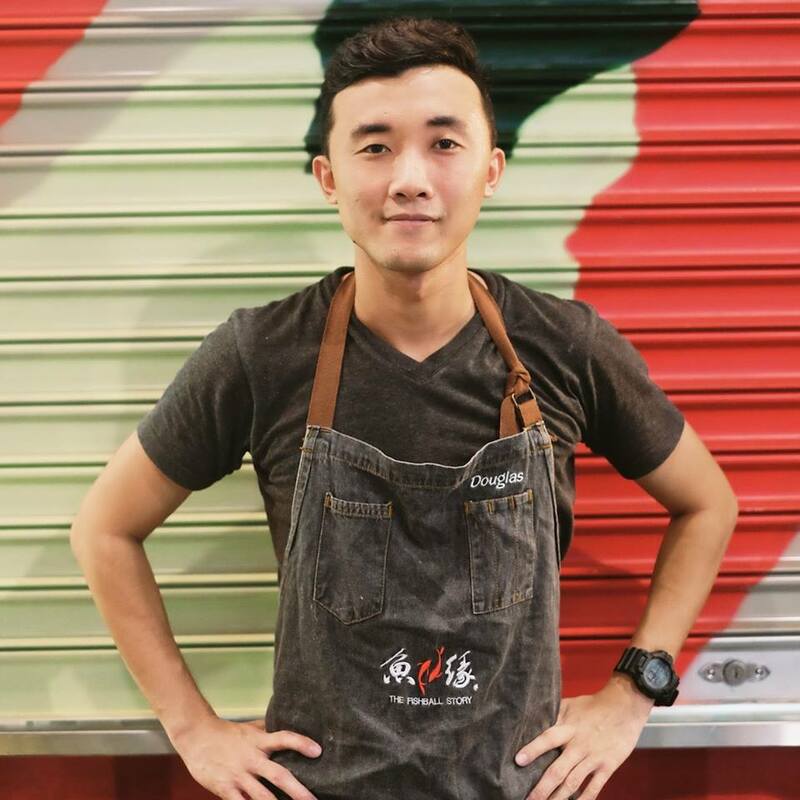 2016 was the year that he made it into the Singapore Michelin Bib Gourmand Guide – a very impressive feat for a hawker with just 2 years of experience then. 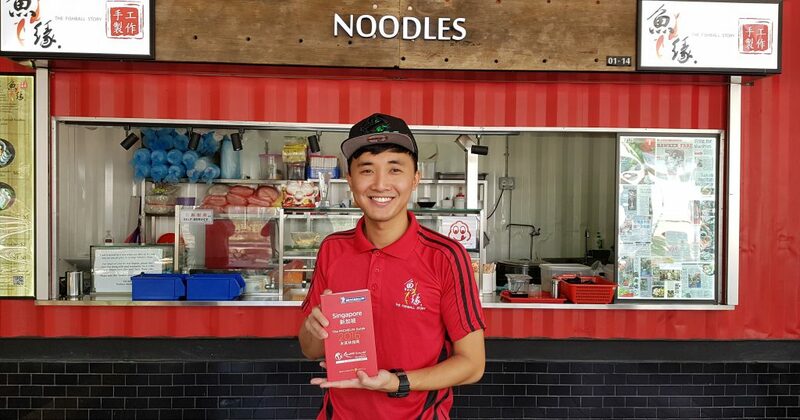 Holding a diploma in electrical computer and communications engineering, Douglas explains that he “always wanted to venture into F&B”, and selling fishball noodles was “the only thing that came to [his] mind”. But taking up the wok, especially at a hawker centre, is no easy feat. From long hours to stuffy kitchens, the trade is increasingly losing its appeal – especially to millennials. Douglas, however, felt that it was the best place to start – especially because of the low capital needed to start up. His family and friends were also “100% supportive” of his plan, as they knew about his passion for culinary. On the 13th of April in 2014, the first outlet was open at Golden Mile Food Centre. It was on that fateful day that he also met KF Seetoh, prominent food guru and creator of the popular hawker food guide, Makansutra. But while publicity and a steady flow of customers wasn’t a worry for him, running the business was something he admits was “really tough”. As tough as it has been, Douglas has never regretted his decision, because he finds that with his knowhow, he can now guide those who are looking to enter the hawker trade as well. However, he brings up that older hawkers don’t have the same spirit of sharing as he does – something he finds “a pity”. 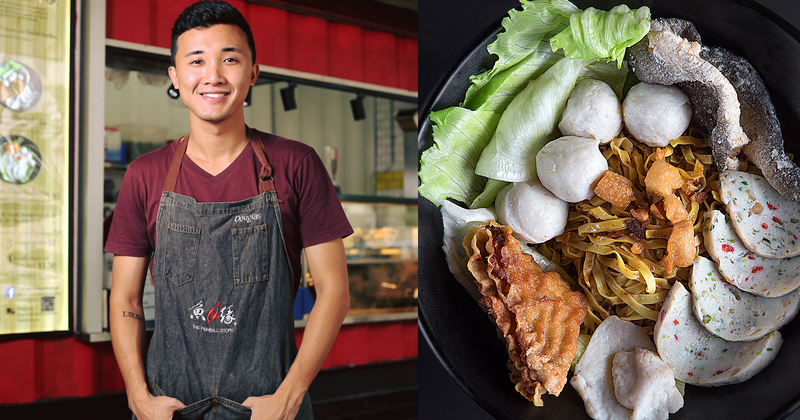 A millennial hawker, Douglas is also reinventing the traditional bowl of Fishball Noodles, adding ‘new school’ elements like fried fish skin to the mix. 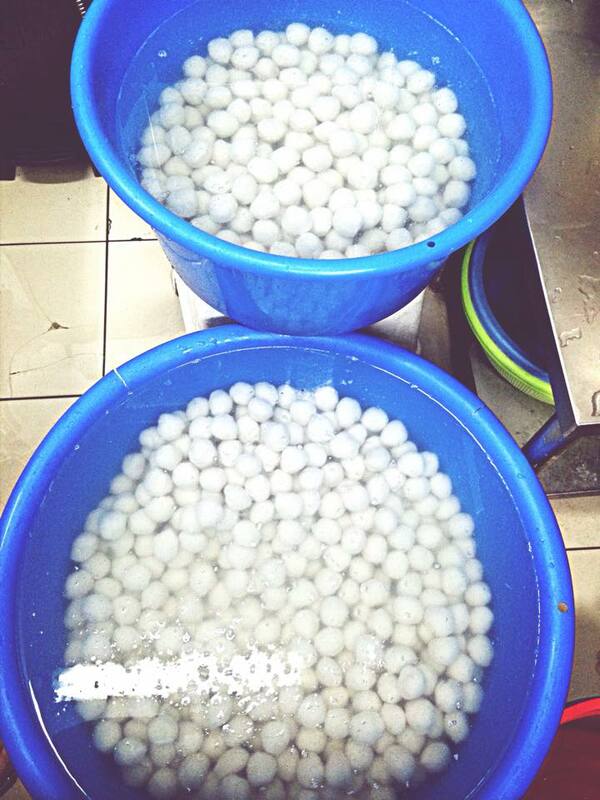 In spite of being relatively new, The Fishball Story has relocated, and expanded quite significantly. The first time was at the end of 2015, when they moved from their original space at Golden Mile Food Centre to the National University of Singapore (NUS)’s University Town food court after their lease with the former ended. While there was much trepidation with that choice, they forged ahead – and found new fans amongst hungry university students in the process. Mid-2016 also saw them opening up a branch at popular gastropark Timbre+, something that Douglas credits to Edward Chia, co-founder of the Timbre Group. They have since moved out from their NUS outlet, and are now operating at Hungry Bee food court in Geylang. But has moving affected their business negatively? Currently, Douglas is more focused on doing business development, working from the office and also running between the 2 locations to ensure that the quality is tip-top. And it’s not just the bellies of foodies and prominent food bloggers that he has won over. 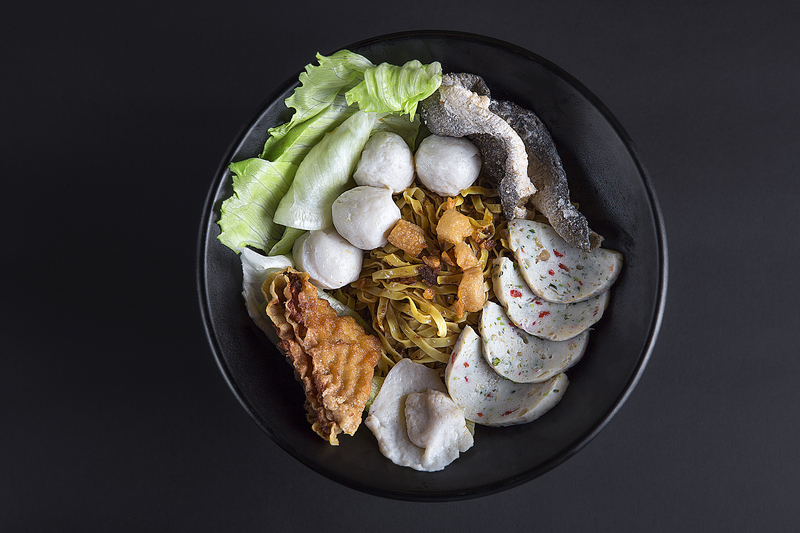 Last year, The Fishball Story was listed on the Michelin Bib Gourmand Guide – among longtime, well-established favourites like Tian Tian Chicken Rice. For Douglas, The Fishball Story doesn’t just end here – he already has a franchise plan set in place, and has made it as simple and straightforward as possible so that franchisees would be able to set up and run the stores even without prior F&B experience. He also reveals that malls will be their next spaces to conquer, and plans are already in the works. A prominent figure in the new wave of hawkers, Douglas expresses his wish to, bowl by bowl, debunk misconceptions tied to the trade.